This property is designed for families. There are activities offered for entire families. 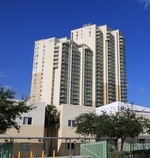 The property is a high-rise that features 2- and 3-bedroom units among its options. The facility ahs security, with the entrance being controlled by a gatehouse with full-time guard. There is also a private marina at this property, as well as a spa. When you arrive, youll have your choice of having the valet take your car or of parking it yourself in the facilitys multi-level, private parking structure. The entire facilities are set within its own 10.5 acre property, in an enclave with bay access. Each of the residences at Aventura Marina includes 9-foot high ceilings. The apartments feature large windows, which are tinted to improve energy efficiency. There are terraces attached to each property, which feature glass panel railings. 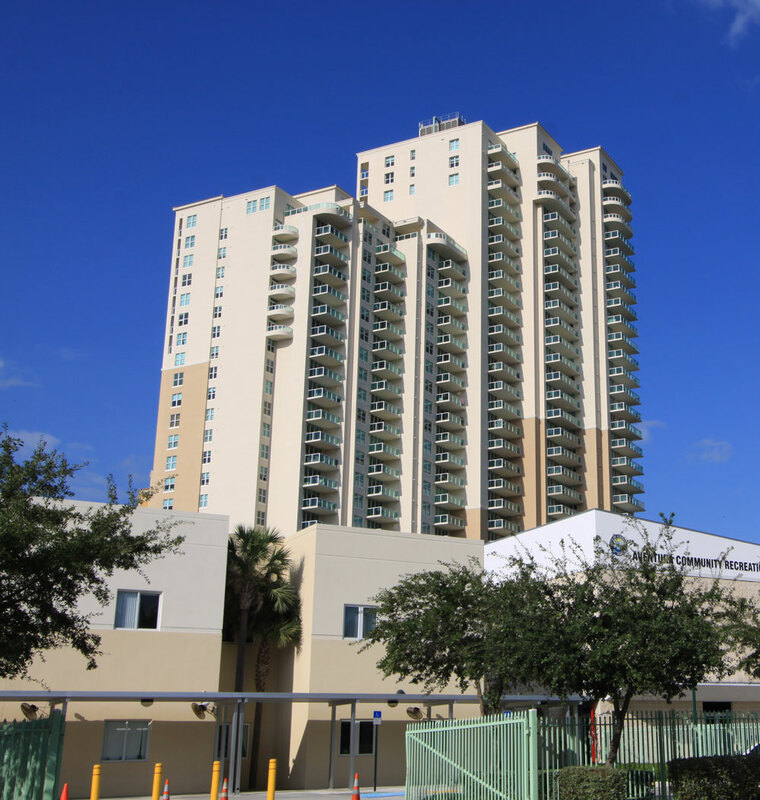 Each of the units is also provided with fire protection via a sprinkler system. Wiring for broadband Internet access and satellite television service is provided in all of the apartments. The living areas are outfitted with thick carpet and the other areas of the home feature ceramic tile flooring. All of the rooms are painted throughout and feature upscale appliances. The bathrooms in these properties feature luxury finishes. There are marble vanity tops, Roman tubs and marble glass showers in the master baths. The bathrooms also feature double porcelain sinks and a private water closet. The bathrooms also feature designer fixtures. The tubs have recessed lighting. The kitchens in these units feature granite countertops and European style cabinetry. Each floor features three residences. There are 2 elevators servicing each floor of this property. The properties range from 1,400 to 1,800 square feet in total. 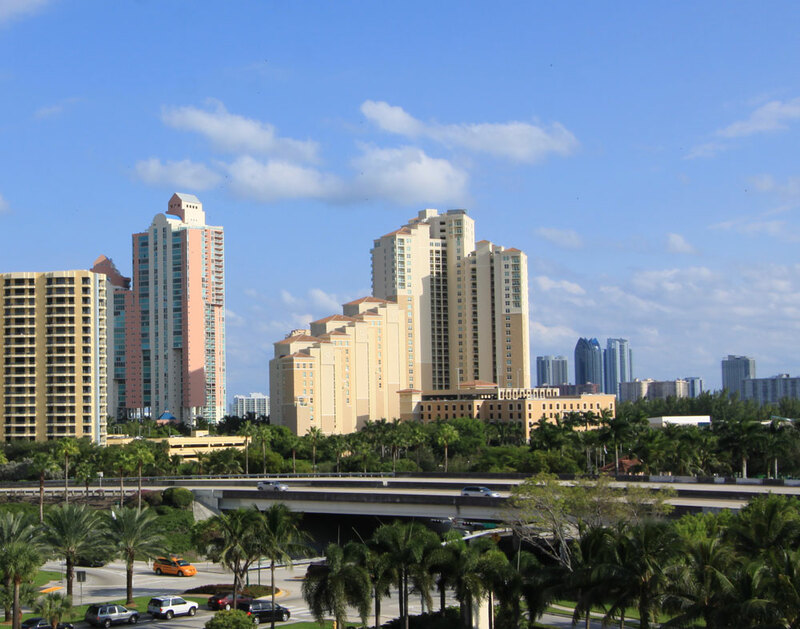 There are practical amenities available at the Aventura Marina Condo, as well. They include a business center for those who work from their home. There is also a card room and a media room where residents can unwind. The condominium features a Mediterranean feel throughout. There is a fitness center on this property, as well as a 3-hole golf course where residents can work on their pitch and their putt. There is an area for sunbathing provided, and a swimming pool is available, as well. This property is designed to offer a unique experience and a host of family-friendly activities are scheduled as part of the amenities available to guests of all ages. Classes will also be available.